Bruno Walter (born Bruno Schlesinger, September 15, 1876 – February 17, 1962) was a German-born conductor, pianist and composer. Born in Berlin, he left Germany in 1933 to escape the Third Reich, settling finally in the United States in 1939. He worked closely with Gustav Mahler, whose music he helped to establish in the repertory, held major positions with the Leipzig Gewandhaus Orchestra, New York Philharmonic, Concertgebouw Orchestra, Salzburg Festival, Vienna State Opera, Bavarian State Opera, Staatsoper Unter den Linden and Deutsche Oper Berlin, among others, made recordings of historical and artistic significance, and is widely considered to be one of the great conductors of the 20th century. Born near Alexanderplatz in Berlin to a middle-class Jewish family, he began his musical education at the Stern Conservatory at the age of eight, making his first public appearance as a pianist when he was nine; he performed a concerto movement with the Berlin Philharmonic in 1889 and a full concerto with them in February, 1890. He studied composition at Stern with Robert Radecke, and remained active as a composer until about 1910 (see list of compositions below). But it was hearing a concert in 1889 by the Berlin Philharmonic led by Hans von Bülow, he wrote, that "decided my future. Now I knew what I was meant for. No musical activity but that of an orchestral conductor could any longer be considered by me." He made his conducting début at the Cologne Opera with Albert Lortzing's Der Waffenschmied in 1894. Later that year he left for the Hamburg Opera to work as a chorus director. There he first met and worked with Gustav Mahler, whom he revered and with whose music he later became strongly identified. In 1896, he was appointed Kapellmeister of the Stadttheater (municipal opera) in Breslau, on the strength of a recommendation from Mahler to the theater's director, Theodor Löwe. However, Löwe required that before taking up this position the young conductor change his last name from Schlesinger—which literally means Silesian—"because of its frequent occurrence in the capital of Silesia". In a letter to his brother, paraphrased by biographers Erik Ryding and Rebecca Pechefsky, Walter said that he had "suggested several names, which Mahler wrote down and gave to Löwe, who returned the contract with the name Bruno Walter". These biographers add that Walter wrote to his parents that he found that "having to change his name was 'terrible'". They report that Mahler and his sisters "pressed" Walter to make the change of name, and add that contrary to occasional unsubstantiated reports, it "is unknown" whether Löwe's stipulation had anything to do with a desire to conceal Walter's Jewish origins. In 1897, Walter became Chief Conductor at the municipal opera in Pressburg (now Bratislava). He found the town provincial and depressing, and in 1898 took the position of Chief Conductor of the Riga Opera, Russian Empire. While there, he converted to Christianity, probably Roman Catholicism. 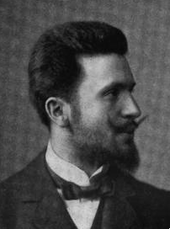 In 1899 Walter was appointed music director of the Temeswar, Austria-Hungary (now Timisoara, Romania) Opera, the current Banatul Philharmonic of Timișoara. Walter then returned in 1900 to Berlin, where he assumed the post of Royal Prussian Conductor at the Staatsoper Unter den Linden, succeeding Franz Schalk; his colleagues there included Richard Strauss and Karl Muck. While in Berlin he also conducted the premiere of Der arme Heinrich by Hans Pfitzner, who became a lifelong friend. In 1901, Walter accepted Mahler's invitation to be his assistant at the Court Opera in Vienna. Walter led Verdi's Aida at his debut. In 1907 he was elected by the Vienna Philharmonic to conduct its Nicolai Concert. In 1910, he helped Mahler select and coach solo singers for the premiere of Mahler's Symphony No. 8. In the following years Walter's conducting reputation soared as he was invited to conduct across Europe—in Prague, in London where in 1910 he conducted Tristan und Isolde and Ethel Smyth's The Wreckers at Covent Garden, and in Rome. When Mahler died on May 18, 1911, Walter was at his deathbed. On June 6, he wrote to his sister that he was to conduct the premiere of Mahler's Das Lied von der Erde; he did so in Munich on November 20, 1911, in the first half of an all-Mahler concert (the second half contained Mahler's Symphony No. 2). On June 26, 1912 he led the Vienna Philharmonic in the world premiere of Mahler's Symphony No. 9. Although Walter became an Austrian citizen in 1911, he left Vienna in 1913 to become the Royal Bavarian Music Director and General Music Director of the Bavarian State Opera in Munich. While there, argue Erik Ryding and Rebecca Pechefsky, "Walter's contribution to the history of Wagner performance [was] more significant than many realize. The Bayreuth Festival was suspended after 1914 ... and resumed only in 1924. During those nine years, Munich was the centre of authentic Wagner performance; its Prinzregenttheather was closely patterned after the Festspielhaus in Bayreuth, and its National Theatre had seen the world premieres of Die Meistersinger von Nürnberg, Das Rheingold, Die Walküre, and Tristan und Isolde. Walter was the city's music director for most of this period, and he presided over most of the Wagnerian repertoire." In January 1914, Walter conducted his first concert in Moscow. During the First World War he remained actively involved in conducting, giving premieres to Erich Wolfgang Korngold's Violanta and Der Ring des Polykrates as well as Hans Pfitzner's Palestrina. In 1920, he conducted the premiere of Walter Braunfels' Die Vögel. In Munich, Walter was a good friend of Cardinal Eugenio Pacelli (later Pope Pius XII). Walter's close friendship with Thomas Mann seems to have begun in Munich by 1914. Walter ended his Munich appointment in 1922 and left for New York in 1923, working with the New York Symphony Orchestra in Carnegie Hall; he later conducted in Detroit, Minnesota and Boston. Back in Europe, Walter made his debuts with both the Leipzig Gewandhaus Orchestra and the Royal Concertgebouw Orchestra in 1923, and was Music Director of the Deutsche Oper Berlin (Städtische Oper) from 1925 to 1929. He made his debut at La Scala in 1926, and was chief conductor of the German seasons at Covent Garden in London from 1924 to 1931. Walter served as Principal Conductor of the Leipzig Gewandhaus Orchestra from 1929 until March, 1933, when his tenure was cut short by the new Nazi government, as detailed below. In speeches in the late 1920s, Nazi leader Adolf Hitler had complained bitterly about the presence of Jewish conductors at the Berlin opera, and mentioned Walter a number of times, adding to Walter's name the words "alias Schlesinger." When the Nazis took power, they undertook a systematic process of barring Jews from artistic life. As reported by biographers Erik Ryding and Rebecca Pechefsky, when Hitler became Chancellor in January 1933, Walter was conducting in New York, but the next month sailed back to Leipzig planning to conduct his previously scheduled concerts with the Gewandhaus Orchestra in March. However, Leipzig's Chief of Police informed management that he would cancel the concerts if Walter was to conduct them. Management resisted and Walter led rehearsals, but on the day that the first concert was to take place, the police, "in the name of the Saxon ministry of the interior," forbade the dress rehearsal and the concerts; Walter left Leipzig. Walter was then scheduled to conduct the Berlin Philharmonic on March 20, but its managements was warned by Joseph Goebbels that "unpleasant demonstrations" might occur at the concert, and the Propaganda Ministry clarified this by saying that there would be violence in the hall. Hearing of this, Walter chose to withdraw, saying to management, "Then I have no further business here." The concert in the end was conducted by Richard Strauss. Walter later wrote, "The composer of Ein Heldenleben ["A Hero's Life"] actually declared himself ready to conduct in place of a forcibly removed colleague." A concert that Walter was scheduled to lead in Frankfurt was also cancelled. Walter left Germany and was not to conduct there again until after the war. Austria became his main center of activity for the next several years. He and his family moved to Vienna, where he regularly conducted the Vienna Philharmonic—with whom he made a number of momentous recordings during this period—and at the Salzburg Festival. In 1936 he accepted an offer to be Artistic Director of the Vienna State Opera, where he occupied the same office that had once been Mahler's. He was also appointed Permanent Guest Conductor (eerste dirigent) of the Amsterdam Concertgebouw Orchestra from 1934 to 1939, and made guest appearances such as in annual concerts with the New York Philharmonic from 1932 to 1936. When the Third Reich annexed Austria—the Anschluss—in 1938, Walter was in the Netherlands conducting the Concertgebouw Orchestra. His elder daughter Lotte was in Vienna at the time, and was arrested by the Nazis; Walter was able to use his influence to free her. He also used his influence to find safe quarters for his brother and sister in Scandinavia during the war. Walter's daughter Gretel was murdered on August 21, 1939 in Berlin by her husband, who then killed himself; his motive was jealousy over her growing relationship with the Italian bass singer Ezio Pinza. Walter's wife fell into a permanent depression and died in 1945, and Walter blamed himself for the tragedy, as his daughter had met Pinza only because Walter had made special efforts to hire him to sing the role of Don Giovanni. On November 1, 1939, he set sail for the United States, which became his permanent home. He settled in Beverly Hills, California, where his many expatriate neighbors included Thomas Mann. While Walter had many influences within music, in his Of Music and Making (1957) he notes a profound influence from the philosopher Rudolf Steiner. He notes, "In old age I have had the good fortune to be initiated into the world of anthroposophy and during the past few years to make a profound study of the teachings of Rudolf Steiner. Here we see alive and in operation that deliverance of which Friedrich Hölderlin speaks; its blessing has flowed over me, and so this book is the confession of belief in anthroposophy. There is no part of my inward life that has not had new light shed upon it, or been stimulated, by the lofty teachings of Rudolf Steiner ... I am profoundly grateful for having been so boundlessly enriched ... It is glorious to become a learner again at my time of life. I have a sense of the rejuvenation of my whole being which gives strength and renewal to my musicianship, even to my music-making." During his years in the United States, Walter worked with many famous American orchestras. In December, 1942, he was offered the music directorship of the New York Philharmonic, but declined, citing his age; then in February, 1947, after the resignation of Artur Rodzinski, he accepted the position but changed the title to "Music Adviser," (he resigned in 1949). Among other orchestras he worked with were the Chicago Symphony Orchestra, the Los Angeles Philharmonic, the NBC Symphony Orchestra, and the Philadelphia Orchestra. From 1946 onwards, he made numerous trips back to Europe, becoming an important musical figure in the early years of the Edinburgh Festival and in Salzburg, Vienna and Munich. In September, 1950 he returned to Berlin for the first time since the aborted concert of 1933; he conducted the Berlin Philharmonic in a program of Beethoven, Mozart, Richard Strauss, and Brahms, and "gave a lecture for the students of the Municipal Conservatory - formerly his old school, the Stern Conservatory - at the students' request" His late life was marked by stereo recordings with the Columbia Symphony Orchestra, an ensemble of professional musicians assembled by Columbia Records for recordings. He made his last live concert appearance on December 4, 1960 with the Los Angeles Philharmonic and pianist Van Cliburn. His last recording was a series of Mozart overtures with the Columbia Symphony Orchestra at the end of March in 1961. Bruno Walter died of a heart attack in his Beverly Hills home in 1962. but he is buried in the cemetery of Gentilino in Canton Ticino, Switzerland. Walter's work is documented on hundreds of recordings made between 1900 (when he was 24) and 1961. Most listeners became familiar with him through the stereo recordings made in his last few years, when his health was declining. But many critics agree that these recordings do not fully convey what Walter's art must have sounded like in its prime. The late recordings are said to have a geniality that contrast with the energetic, intense and mercurial performances of earlier decades. Furthermore, Walter's late recordings focus mostly on older compositions, whereas in his youth he often conducted what was then considered newer music. Walter worked closely with Mahler as an assistant and protégé. Mahler did not live to perform his Das Lied von der Erde or Symphony No. 9, but his widow, Alma Mahler, asked Walter to premiere both. 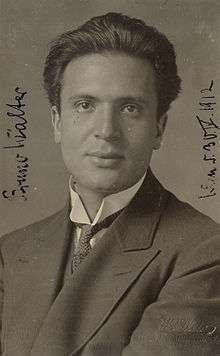 Walter led the first performance of Das Lied in 1911 in Munich and of the Ninth in 1912 in Vienna with the Vienna Philharmonic. Decades later, Walter and the Vienna Philharmonic (with Mahler's brother-in-law Arnold Rosé still a concertmaster) made the first recordings of Das Lied von der Erde in 1936 and of the Ninth Symphony in 1938. Both were recorded live in concert, the latter only two months before the Nazi Anschluss drove Walter (and Rosé) into exile. These recordings are of special interest for the performance practices of the orchestra and also for intensity of expression. Walter was to re-record both works successfully in later decades. His famous Decca Das Lied von der Erde with Kathleen Ferrier, Julius Patzak and the Vienna Philharmonic was made in May, 1952, and he recorded it again in studio, with the New York Philharmonic in 1960. He conducted the New York Philharmonic in the 1957 stereo recording of the Second Symphony. He recorded the Ninth in stereo in 1961. These recordings, as well as his other American recordings, were released initially by Columbia Records and later on CD by Sony. Since Mahler himself never conducted the Ninth Symphony and Das Lied von der Erde, Walter's performances cannot be taken as documentations of Mahler's interpretations. However, in the light of Walter's personal connection with the composer and his having given the original performances, they have another kind of primary authenticity. In his other (greatly esteemed) recordings of Mahler—various songs and the First, Second, Fourth, and Fifth Symphonies—there is the great added interest that he had heard Mahler's own performances of most of them. Walter made many highly acclaimed recordings of other great Germanic composers, such as Mozart, Haydn, Beethoven, Schubert, Johannes Brahms, Johann Strauss Jr., and Anton Bruckner, as well as of Bach, Wagner, Schumann, Dvorak, Richard Strauss, Tchaikovsky, Smetana, and others. Walter was a leading conductor of opera, particularly known for his Mozart performance, and recordings of some from the Metropolitan Opera and the Salzburg Festival are now available on CD. So are performances of Wagner, Verdi, and Beethoven's Fidelio. Also of great interest are recordings from the 1950s of his rehearsals of Mozart, Mahler and Brahms, which give insight into his musical priorities and into the warm and non-tyrannical manner—as contrasted with some of his colleagues—with which he related to orchestras. Incidental music for "King Oedipus" (1910. The production was an adaptation of the Sophocles play by Hugo von Hofmannsthal. It was directed by Max Reinhardt, and premiered in September, 1910 in Munich, followed by performances in Berlin, Cologne, and Vienna. ↑ Andreas Kluge, liner notes for Bruno Walter's recording of Mahler's Symphonies No. 1 & No.2 and Lieder eines Fahrenden Gesellen for Sony Classical, 1994. ↑ Ryding & Pechefsky (2001), p. 224, quoting Walter's 1946 autobiography Theme and Variations. Dalin, David G. (2005). The Myth of Hitler's Pope: Pope Pius XII And His Secret War Against Nazi Germany. Washington, DC: Regency Publishing. ISBN 9780895260345. Fischer, Jens Malte (2011). Gustav Mahler. Translated by Stewart Spencer. Yale University Press. ISBN 9780300134445. Friedländer, Saul (1997). Nazi Germany and the Jews, Volume 1: The Years of Persecution, 1933–39. HarperCollins. ISBN 9780753801420. Hemleben, Johannes (2000). Rudolf Steiner: an Illustrated Biography. Sophia Books. Holden, Raymond (2005). 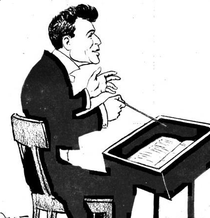 The Virtuoso Conductors: the Central European Tradition from Wagner to Karajan. New Haven, CT: Yale University Press. ISBN 978-0-300-09326-1. Ross, Alex (2007). The Rest Is Noise: Listening to the Twentieth Century. Farrar, Straus and Giroux. ISBN 9780374249397. Ryding, Erik; Pechefsky, Rebecca (2001). Bruno Walter: a World Elsewhere. New Haven, CT: Yale University Press. ISBN 978-0-300-08713-0. Walter, Bruno (1961). Of Music and Music-Making. New York: W.W. Norton & Company. OCLC 394450. Walter, Bruno; Galston, James A. (1946). Theme and Variations: an Autobiography. New York: A.A. Knopf. OCLC 564814. Wikimedia Commons has media related to Bruno Walter.